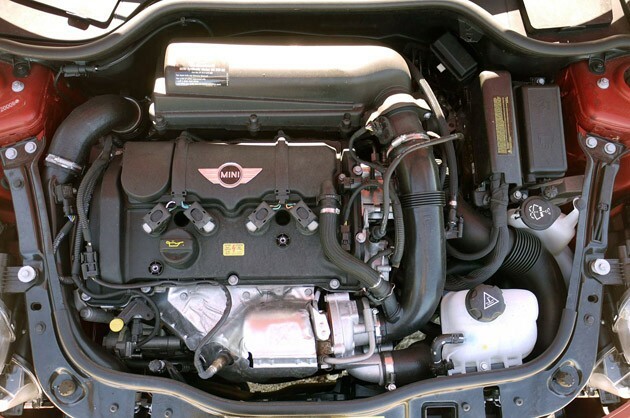 Are you in San Diego and looking for expert Mini Cooper maintenance and repair services? With our customer satisfaction guarantee you can count on Pacific Automotive, conveniently located near Pacific Beach and La Jolla. The Mini Cooper has finally achieved the popularity it deserves as a fun little high-performance car. But like all European vehicles, they do require a bit more maintenance to keep them running reliably. Their compactness and unique design often makes repairs difficult, so it’s especially important to keep to the 5 K mile (or sooner) oil change and 15 K mile maintenance schedules. Pacific Automotive has been serving the San Diego area for over 20 years with the latest in diagnostic gear and ASE certified master mechanics, including Mini Cooper specialists. A full-service automotive shop, we want to be your affordable dealership alternative for life, and are confident that you’ll appreciate the personal attention we give you and your Mini. You’ll find lots more information on our company and services on this website, so let’s focus on some issues specific to the Mini. This discussion of common problems may seem somewhat discouraging, but they are things that we’ll be on the lookout for and that you should be aware of. With regular maintenance your particular vehicle should be long lasting, with maintenance and repair costs in line with similar high-performance vehicles. We’re well-versed in all aspects of auto repair. Here are the more common problem Mini Coopers tend to have. A failed electric power steering pump is often caused by problems with the pump’s cooling fan or low power steering fluid. The water pump and thermostat housings tend to leak, so you may want to just replace them at around 50 K miles. The front radiator support and lower coolant hose can be damaged by modest impacts on high curbs. For 2002 through 2006 models the front strut towers may weaken and bend, leading to unsafe handling. Like many British-designed vehicles, Minis tend to have various electrical problems, particularly with accessories. No problem, our mechanics are expert troubleshooters for electrical and electronic issues. Your Cooper shouldn’t experience any unusual issues with its braking system. But as a safety-critical item, be sure to call us if you experience any unusual sounds (such as screeching or grinding), unusual handling (such as grabbing, pulling to one side, uneven slow-down, or taking longer than usual to stop), or if the brake pedal starts feeling different (going down further or seeming soft or spongy). And like any vehicle, regular brake service is vital. If your check engine light comes on, just drop by and we’ll read out the codes and take a look at your car. The check engine light actually covers a lot more than just the engine, including the need for brake service, transmission repair, and other auto repair needs. Mini Coopers with both automatic and manual transmissions tend to have clutch failures much sooner than other makes, so you’re likely to need a clutch repair or replacement around 40 K miles. Although it doesn’t require elaborate tune-ups like some European imports, there are some known engine repair concerns. Rattling timing chains are frequently reported. This requires a major engine repair, but shouldn’t be ignored as left alone it could lead to other major problems. There is some evidence that this issue is related to transmission fluid/oil problems. S models should have their superchargers rebuilt at around 100 K miles, otherwise they may fail and cause significant damage to the engine. Owners of models with VVT (variable valve timing) need to pay particular attention to oil changes, as the tiny valves are easily clogged. If the engine oil is dirty, it needs to be changed even if it’s only been 2 K miles since the last oil change. Minis need an oil change more frequently than some vehicles. The manufacturer’s recommendation is every 6 months or 5,000 miles. The Mini Cooper is marketed as having a “sealed for life” transmission, leading to many unnecessarily dissatisfied customers. The fact is that the transmission fluid (or oil) should be changed every 30 K miles, with only a Mini/BMW approved fluid. Correcting that one “omission” from their maintenance schedule is likely to save you many thousands of dollars. That sealed transmission also means that in some situations a transmission repair isn’t possible, and it’s necessary to replace the transmission. A Mini Cooper is a great little car for zipping around the many attractions San Diego has to offer visitors and residents alike. Besides the major attractions such as Sea World, the San Diego Zoo, and Balboa Park you can enjoy fantastic driving trips along the coast, inland natural reserves and parks, historic cites, or put together your own food tour.